This is a great little book. Very helpful! Definitely worth reading if you are getting a new iPad Pro. Some really ace tips that I never knew about. Didn’t realize the iPad could do so much. This author needs a good editor and proofreader. Typos and inconsistencies pervade and are distracting. But if you are new to iPad and iOS you may find the guide helpful regardless. However, when I pay for content I expect it to also be vetted and carefully prepared and this one reads like a draft that was raced into the market when another review pass or two would easily have caught and refined the reading experience. Just got this book with high expectations. Shows 281 pages when actually 131 in iBooks. Stuff is pretty basic. Billed as more advanced. It could be but is not now. 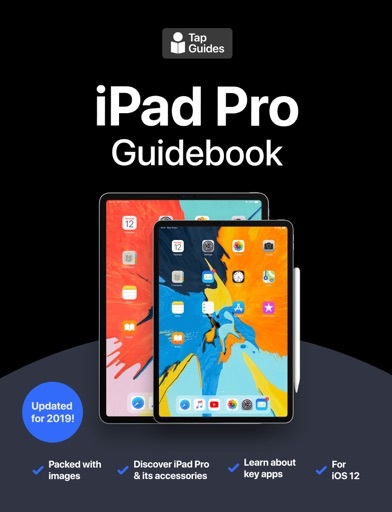 Essentially an iOS 9 guide with a few references to iPad Pro. Maybe it will get more robust with time.